What are the consequences of a first-offense DUI? Can I be in trouble even if my BAC is below the legal limit? Can I fight my DUI arrest-related suspension? If I am arrested for a DUI, will I lose my license? What if this is my second or third DUI arrest? Under California Vehicle Code section 23152(a), it must be proven beyond a reasonable doubt that the charged individual was the driver of a vehicle within the State's boundaries while so intoxicated, with either alcohol and/or drug(s), that he or she was unable to operate the vehicle as safely as an ordinarily prudent person would under like circumstances. Section 23153 prohibits driving under the influence of alcohol and/or drugs in a manner which causes injury to another. Section 23140 prohibits driving with a blood alcohol content of .05 or greater while under 21. Section 21200.5 prohibits riding a bicycle while under the influence of alcohol. To view these, and other pertinent code sections, you are referred to the California Code. Request a Free Consulation Now by phone at (805) 892-4922 or by email. The quality of your legal representation. Jail on a first offense DUI is most typically served on the Sheriff's Work Alternative Program (aka "SWAP"). A daily fee and an application fee is charged to allow you to perform light industrial work under the direct, or indirect, supervision of the Sheriff's Department on County property. A day of jail credit is granted for each 8 hour work day. A minimum of two days must be served each week. No more than 60 days of jail may be served on SWAP. Good time credits are assessed: For each day of jail served without discipline, one day of credit is awarded; however, this reduction does not apply to sentences of 3 days or less. The obligation to refrain from driving a motor vehicle with any measurable quantity of alcohol in your blood. Other financial setbacks related to a DUI include the increased cost of auto insurance for being labeled a "high risk" insured, a booking fee (e.g., $130), and a drivers license re-issue fee (i.e., $120). Also, depending on the circumstances of your arrest, you may also be billed for the costs of an "emergency response" (usually where there has been an accident) and, if your car was impounded, of course you will have to pay an impound fee to get it back. Some DUI related setbacks are hard to quantify in financial terms, however, they can be emotionally and financially devastating. For example, if you are convicted of a misdemeanor or a felony DUI, you must typically disclose the conviction on job applications, applications for public assistance, applications to run for public office, and applications submitted to educational institutions (and for financial aid). A felony conviction will, at least temporarily, bar you from the privilege of voting. While most first-offense misdemeanor dui convictions won't restrict your right to travel, Canada, for example, often bars the entry of non-Canadian citizens previously convicted of even misdemeanor charges of DUI (in the U.S.) for five years from the date of conviction. Rumor has it that England and Japan may do the same. To find out what can be done to affordably avoid and manage these consequences, please contact us, and we'll get back with you promptly. A "Wet Reckless" (aka "Wet") is a misdemeanor reckless driving offense sentenced under section 23103.5 of the Vehicle Code. It is a Reckless Driving offense which was found to have involved alcohol and/or drugs. A "Wet" is actually never charged in an original complaint. Instead, it is offered by way of a plea bargain when you have been arrested and charged for a DUI, but where the prosecutor believes that he or she may have some difficulty proving you guilty of the charged DUI offenses. A requirement to submit to testing for the presence of alcohol in your blood or breath by any police officer with probable cause to suspect that you have been driving with a measurable quantity of alcohol in your blood. Same as a DUI. They won't care that you pled down to a "Wet." In fact, they'll require you to enroll in the 3 month DUI course if the suspension is deemed lawful before they will issue a restricted license, thus rendering the court's more lenient 12 session course a nullity: You'll still have to take the 3 month course unless you beat the suspension or take a four month break from driving. Most will treat this same as they would a DUI. They won't care that you pled down to a "Wet." To them it's the same offense. Is a "Wet" considered a good deal? That depends on the circumstances. Unless there was an accident, or some obvious sign of intoxication, any .09% or less DUI should settle for a "Wet" at worst. Be very suspicious of so-called "Expert DUI defense attorneys" who will dress up a "Wet" as a great deal that you're lucky to get. While having legal representation is always a good idea, having an attorney who will level with you about the true value of a "Wet" is even better. As you compare the TYPICAL consequences of a "Wet" in South Santa Barbara County with that of a low-BAC (.10 - .15 BAC) DUI, you will readily see that they are roughly the same. A break on the fine is about all a "Wet" is worth in many cases. So why should you take a "Wet" as a plea bargain? Perhaps you shouldn't. Such important decisions should be made only after you have had a chance to consult with an experienced DUI attorney. To find out how to get a better deal than a "Wet," please contact us. Yes. It is also unlawful to drive when you are impaired by alcohol such that you are not able to exercise ordinary caution. Your reaction time and motor coordination must not be compromised by alcohol. Many in law enforcement believe that everyone is "impaired" at .05% BAC. Also, the combination of either a low blood alcohol level (or none at all) while under the influence of a drug which may affect your ability to drive safely is considered a DUI as well (23152(a) CVC). To learn more about how drinking affects your BAC, you may wish to try our BAC Calculator. The implied consent law of the State of California requires persons arrested for driving under the influence to submit to one chemical test of their choosing. What this means, in practice, is that (if you are 21 or over) you don't have to blow into any breath tester, but if you don't, you will be required to submit to a blood test. Urine tests are seldom available, and the law has changed such that you may no longer demand one. You may just want to ask for a urine test politely. If you refuse all tests, the police may force a blood draw against your will. Those under 21 must submit to the Preliminary Alcohol Screening (aka, "PAS") tests. If you refuse to submit to such a test at the scene of the traffic stop, you will, in most cases, be arrested and taken in for a more reliable test. By accepting the privilege to drive, legally speaking, you have given your consent to submit to an approved chemical or physical test of your breath for the purposes of determining your BAC, and to a blood or urine test for the purposes of detecting the presence of drugs. Therefore, when you sign your name on your license, you are saying that if stopped for a possible DUI, you will take the test. In some cases officers may force a blood draw if you refuse all testing. Yes. You may request a review of the driver's license suspension by the department of motor vehicles within 10 days following your arrest. At a formal review, the hearing officer is authorized to administer oaths, examine witnesses and take testimony. You should know that doing so will cause the DMV to delay the imposition of the suspension until a decision is reached on the merits and you are notified of it. In practical effect, the proceedings will extend the temporary driving privilege for 1-2 additional months and may result in the restoration of your full driving privileges without any period of actual suspension. Moreover, winning the hearing will prevent the DMV from requiring you to purchase "high risk" insurance coverage and to enroll in any courses. Highly skilled DUI attorneys know of at least two ways to beat a license suspension, depending on the circumstances. Yes, the law enforcement officer will seize your license if you are arrested for DUI with an unlawful BAC or after you have refused to submit to all chemical tests (you may choose between breath and blood, ultimately). Your license will be confiscated, and the officer will issue you a citation as well as a pink form which acts as both a temporary driver's license and as your notice of suspension. To learn more about how drinking affects your BAC, you may wish to try our BAC Calculator. This will vary depending on the circumstances. However, if you have refused to submit to any chemical tests, the DMV will seek to suspend your license for a period of one year for a first refusal, or for 18 months if you have previously refused to submit to such a test and 2 years if you have a prior DUI and refuse a chemical test on your second go around. If you have an unlawfully high BAC, the DMV will seek to suspend your license for six months for a first offense, and one year for a second offense. If you are under 21, the minimum suspension length is one year for any alcohol related offense. In select circumstances, repeat offenders may qualify for driving privileges after 90 or 180 days. The consequences of a DUI with one or more prior DUI's (within the last 10 years), or a DUI with other aggravating facts, such as injuries, deaths, major property damage, resisting/evading arrest, and driving without a valid driving privilege, can be very severe, and must be evaluated on a case-by-case basis. 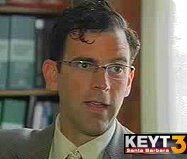 Santa Barbara Lawyer William C. Makler has over 20 years of experience working in the State and Federal criminal justice systems and represents clients charged with all varieties of DUI/Drunk Driving offenses. Call us now at (805) 892-4922 or email us for a free, no obligation consultation and Mr. Makler will get back to you as soon as possible, frequently within a few minutes.